Gutter repairs are fast and cost 80 - 90% less than replacement. Watch our video and see how. Most problems with built-in gutters systems are linked to incorrect installation. Not all gutters systems can be fixed. 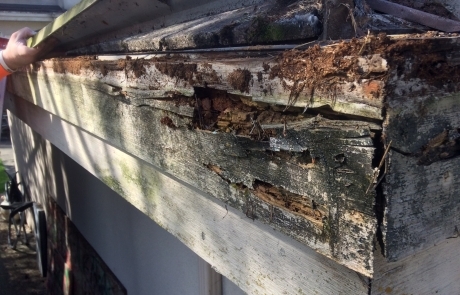 What are the telltale signs it is time to replace your hidden gutters? Marvin Van Dyke 25 Year Gutter Veteran. Find out why Marvin is passionate about serving lower mainland communities. AquaSeal® is a specialized gutter repair and cleaning company. Since 2010, we’ve been saving homeowners and building managers time and thousands of dollars with highly effective maintenance solutions. We are fast and affordable. Call us now at (604) 767-9500 for your free estimate. 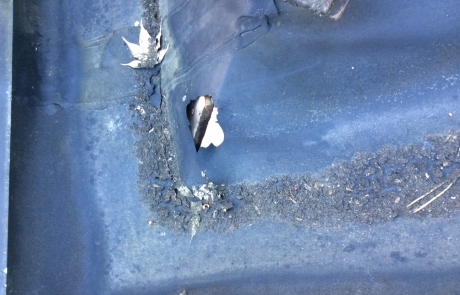 Click here to see our rates for hidden gutter repairs / aluminum gutter repairs. 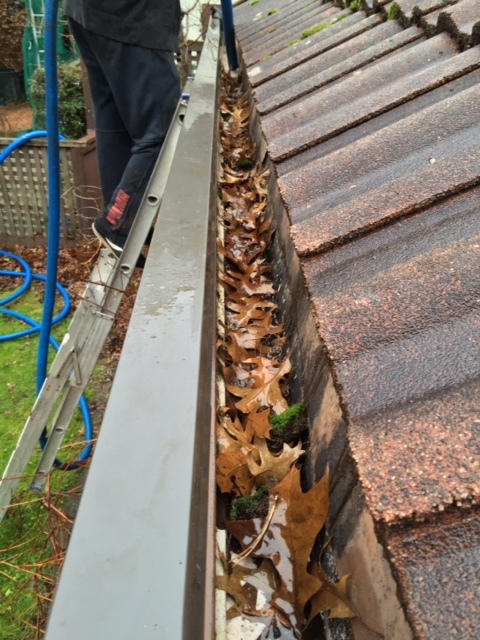 We also provide gutter cleaning services, moss removal and roof cleaning, all year round. AquaSeal provides a comprehensive suite of gutter repair and gutter cleaning services for Vancouver, Surrey and the Lower Mainland. With over 25 years of experience, we’ve been saving homeowners and building managers time and thousands of dollars with highly effective maintenance solutions. Hidden gutters, also known as built-in gutters, are often a classic feature of character homes and have the unique benefit of being very long-lasting. 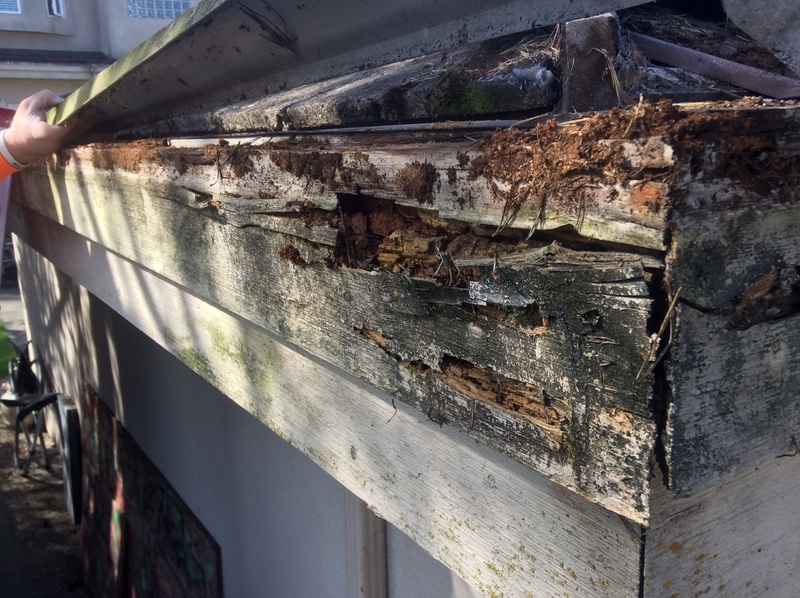 In light of their longevity however, these gutters tend to be easily forgotten about until serious water damage begins to take shape. 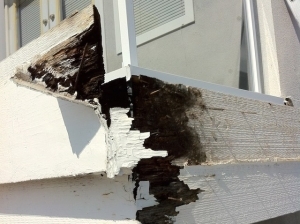 Click to Learn more about how we perform hidden gutter repairs. 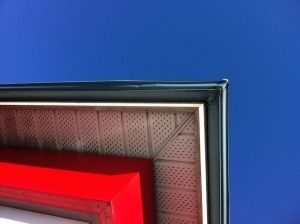 For Metro Vancouver homeowners and strata managers, AquaSeal is your go-to expert for aluminum gutter repairs. 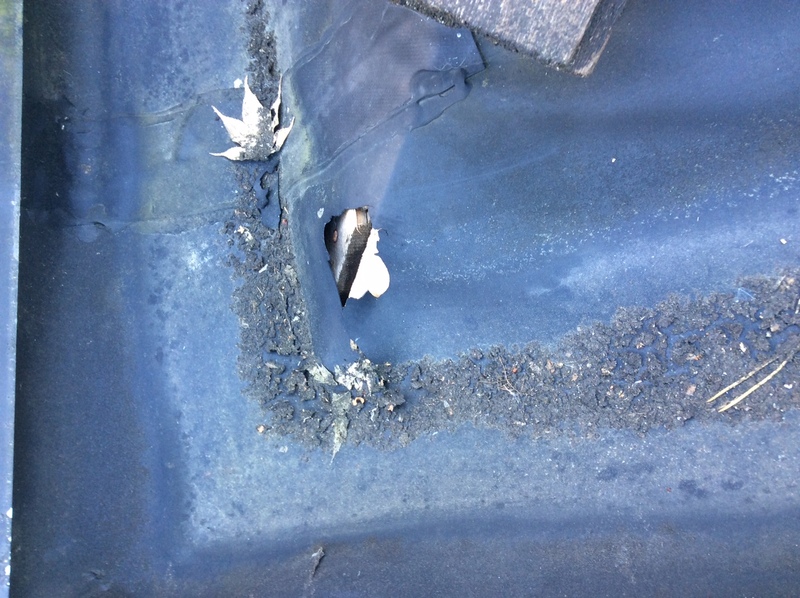 We offer a free no obligation gutter assessment to see if your existing gutter system can be fixed. With most cases, we can add 10 more years to the life of the system by optimizing gutters for water drainage. As part of our 6 point assessment, we test the stability, alignment and performance of the entire system. Click to learn more about how we repair aluminum gutters. 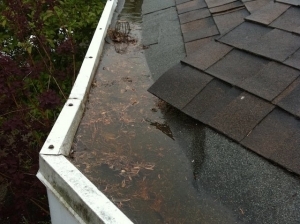 Regular gutter cleaning is a crucial part of regular home maintenance in the Metro Vancouver area. 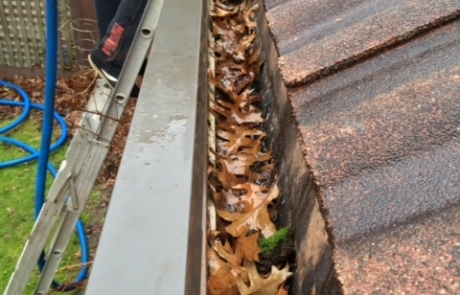 We offer a full suite of gutter maintenance services for all types of gutters. We increase the life span of existing systems by optimizing outlets, re-attaching loose gutters, replace damaged sections, optimize drain outlets to full capacity, reconnection of loose pipes, and gutter realignment. Click to learn more about our gutter cleaning and maintenance service. Gutters can be damaged or cause damage to a building if they have not been installed correctly. If your gutters have standing water in them, freezing conditions can pull apart seams and/or warp the shape and alignment of the gutters. As part of our repair process, we will ensure that your gutters are optimized for rain water runoff. Click here for gutter repairs or here for gutter maintenance service. Downspouts and Leaf Guards are simply designed to filter debris and allow the rainwater runoff to flow through the gutter system. ​As part of our inspection and repair process, we make sure your downspouts and leaf guards are clean and optimized for maximum water flow. 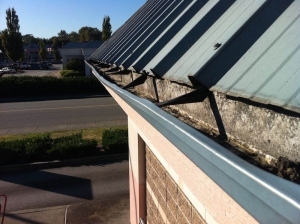 Gutter maintenance is a year round process in Metro Vancouver. Take advantage of our Year Round roof cleaning and gutter maintenance packages. AquaSeal can clean your roof of moss before you know it. Moss problems often develop on north facing parts of a home or building, as well as under the shade of trees and neighbouring buildings. AquaSeal technicians clean and treat your roof and gutters with an environmentally friendly product that quickly kills the moss without harming the surface of your roof or gutters. The great news is that we can get your roof looking beautiful again in no time. 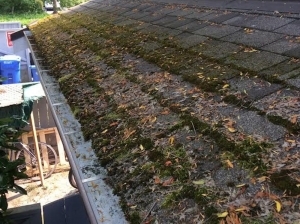 Click to learn more about our moss removal and roof cleaning services. At AquaSeal, we believe in a ‘maintenance first’ approach. 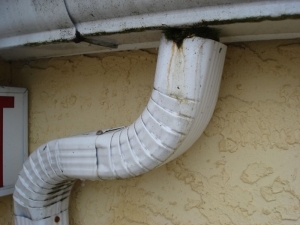 Your gutter system may not need to be replaced. The average cost to replace a Hidden Gutter System 10x greater than the average cost to retro-fit an existing one. The AqualSeal team is our go-to partner for hidden gutter repairs and continuous gutter repairs in Surrey and the Lower Mainland. We can always trust that a project will be finished to perfection and the job site is left in better condition than the manner in which it was found. I met with the strata council today and everyone is pleased with the work you did on the gutters here, so thanks very much. I will be in touch when we need some more work done.